The Scots Musical Museum – Opened to Auld Lang Syne. Each copy was annotated by Burns himself. 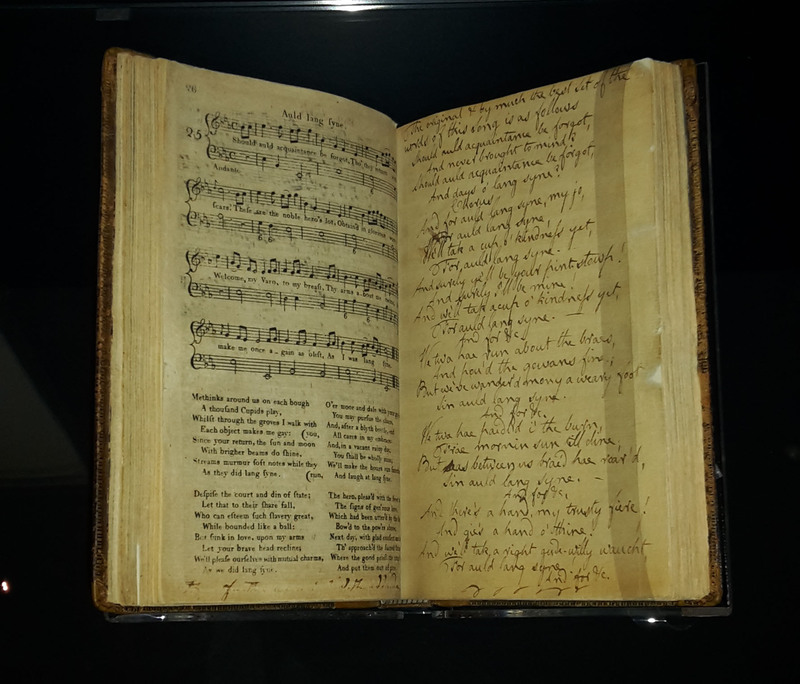 As well as being one of the most valuable (and unique) items in the RBBM’s collection, our copy of The Scots Musical Museum featuring Burns’ annotations is also one of the most fascinating. The book itself belonged to Burns and subject of the annotation is the famous song ‘Auld Lang Syne’, which Burns rewrote from an old folk song he had collected whilst travelling Scotland. Alongside poetry, the songs and music of his homeland were the other great loves of his life – and he spent a large portion of his last years compiling and re-writing folksongs and melodies. The Scots Musical Museum was a major publication; at 6 volumes with 100 songs each it was a hugely positive force in bringing Scottish folk songs and music to the classical repertoire. Other songs and tunes in the collection were contributions and arrangements from composers such as Ludwig van Beethoven and Joseph Hayden (yes, that Beethoven and that Hayden). It is interesting to note that Burn’s songs were found to be more popular than the works of other composers in the Musical Museum, (such as Beethoven specifically) as his work was found to be easier and more accessible for the audience to sing and perform. 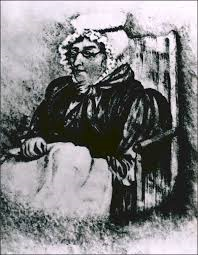 This was not just a collection of old songs however, as Burns would write new words to the tunes, or entirely different songs to the ancient melodies. Auld Lang Syne, Scots Wha Hae and Green Grow the Rashes, O are known to have much older roots. In 1786, Robert Burns met James Johnson in Edinburgh and discovered the music engraver shared his passion for old Scots songs and his desire to preserve them. 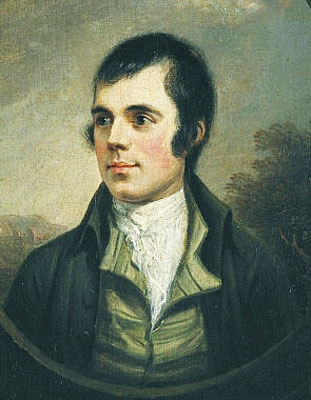 Whilst Burns only contributed 3 songs to the first volume published in 1787, he would eventually contribute about 1/3 of the whole collection as well as have involvement in editing. The final volume was published in 1803. The most fascinating aspect of the book is the blank page full of Burns’ annotations. This was actually a feature of The Scots Musical Museum, as Burns requested that every other page be left blank in order for him to add notes and changes. This in itself, without even reading the alterations or commentary tells us a great deal about the Bard; that he was conscious of the potential of the song or tune to still be improved, a desire to discuss the theory and purpose behind the lyrics and those he had decided against, and even shines a light into his own passion concerning the music and folk traditions of his country. This entry was posted in Object Focus, Robert Burns, Uncategorized and tagged annotated publications, Auld Lang Syne, folksongs, Object Focus, rare publications, RBBM, Robert Burns, Scots Musical Museum, songs.